There’s always going to be a shadow from cancer, but I stay positive. Every day is a gift. For many, 40 is a significant birthday, symbolically marking a transition into a new phase of life. But for Lisa Ober, that milestone came with a new challenge: cancer. 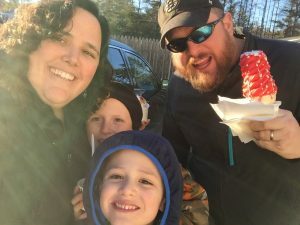 The New Hampshire mom and Joe Andruzzi Foundation grant recipient remembers how she and her twin sister Holly, who lives in Tennessee, signed up for mammograms to mark their big day. Holly’s results were uneventful. Lisa’s showed breast cancer. It was September 2014, and Lisa’s son Zakkary was 9 years old; Zander was 4; this month (October 2017), they turn 12 and 7. 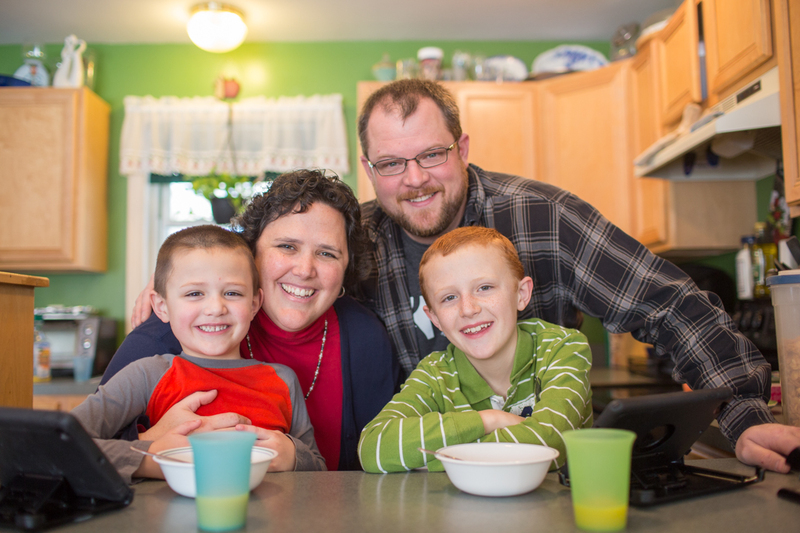 Lisa’s diagnosis set the entire family on a journey through cancer to health that would last more than a year, and continues today. Luckily, she received excellent care through Concord Hospital’s Payson Center for Cancer Care. After her mammogram, ultrasound and biopsy, she quickly underwent surgery to remove her left breast. Chemotherapy, radiation and breast reconstruction followed. She also received counseling services, along with physical therapy and nutrition support, and her family received support services, as well. Later, she took part in a clinical trial to help other cancer patients, and she continues to receive hormone therapy. She still remembers the first Christmas after her diagnosis; she had just begun chemo and was exhausted. Her in-laws helped her husband, Chad, wrap presents and make the magic happen. 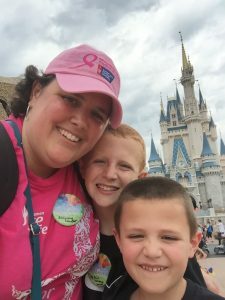 Her boys handled her illness well, she said, but there were little things. Zander couldn’t understand why mom couldn’t pick him up after surgery. “I felt like I was there, but I wasn’t there,” she said. Now, the many months of treatment feel like a blur. “I cried when I read it,” she said. Her family supported her throughout treatment, shaving their heads when she lost her hair. They walked for Breast Cancer and wore pink Survivor T-shirts to school. But the journey was still incredibly difficult – emotionally, physically and financially. Lisa works as a call center representative in financial services and Chad is a delivery driver. But she couldn’t work during chemo and radiation, which made her nauseated and burned her skin. She was intensely tired, attending many medical appointments and needed childcare. Today, Lisa is back at work and cancer-free, though she will remain on Tamoxifen – a medication used to treat and prevent breast cancer – for ten years. She’s so grateful for her family, her faith, her medical team and all the support she received.